Have you ever started on a simple job that seems like it has a curse on it? 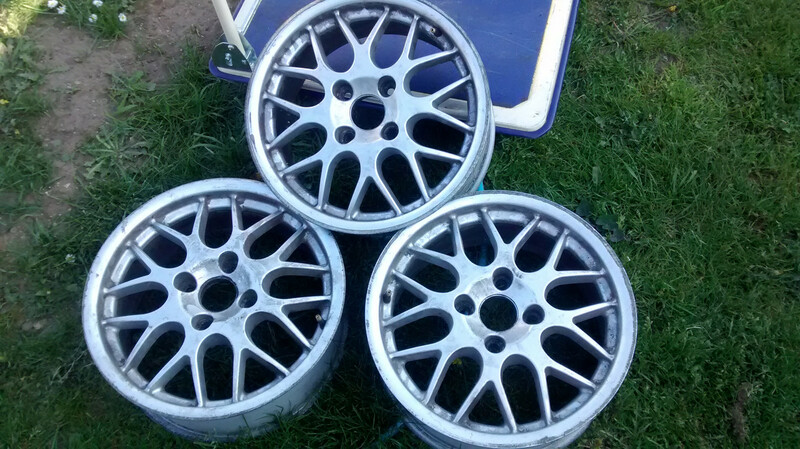 My offering is a refurb of two virgo alloy wheels, started last June and not quite finished now. It was supposed to be a simple rattle can job with a good brushing off with wire brush and a decent finish by means of layers and wet n dry. Started in June 2018. Aborted as they were tatty and I ran out of time just prepping. Resumed August but aborted as family member was admitted to hospital in an emergency. Almost resumed in November but rattle cans had become buried in a house move. Resumed in March, by now mice had nibbled the paint so it needed taking back to primer. Corrected that but ran out of time for lacquer. April, applied the lacquer to find that it drew yellow primer through to the surface in patches. 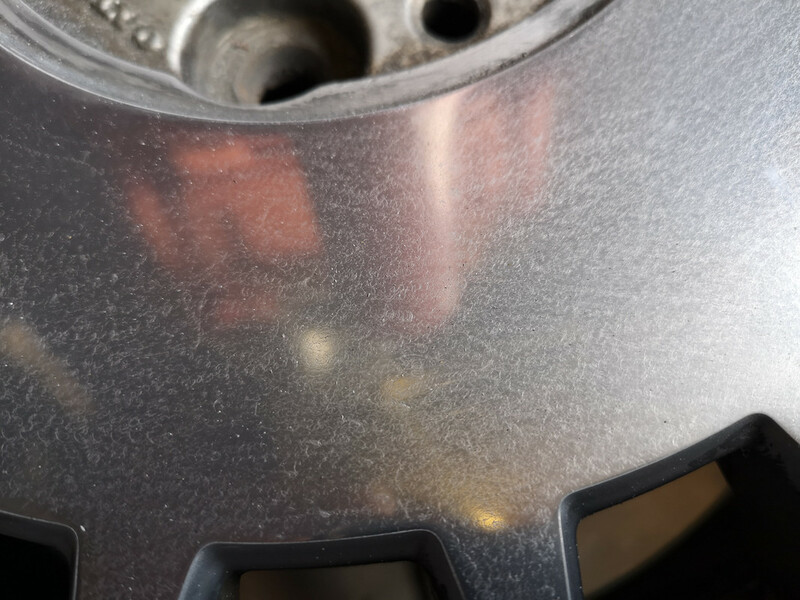 Corrected that this weekend, but a water pipe burst as the lacquer was curing and it peppered one wheel in little droplets. So one down, one to go! Your problem was actually launching into the work so quickly. Jobs like this require much longer at the “planning” stage. 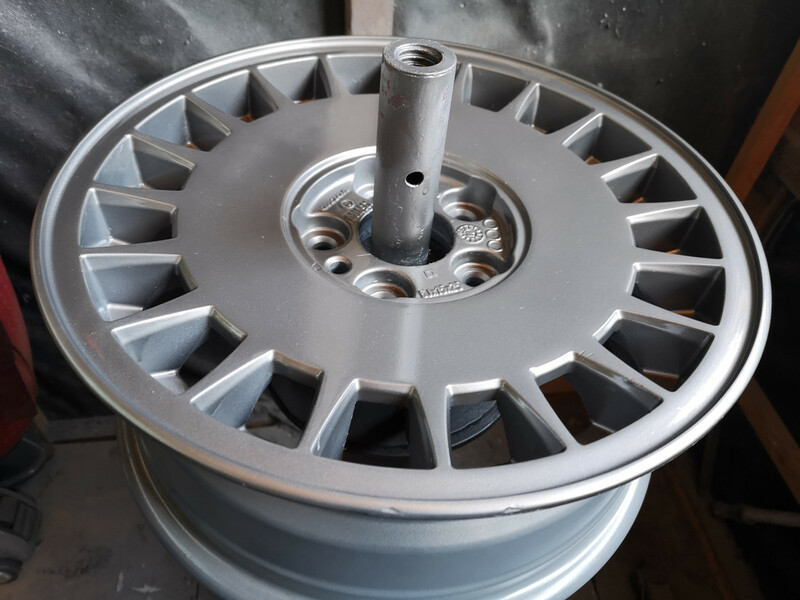 I've had a similar story of refurbing an Omega alloy, the original intention was to mirror polish the front face and paint the rest of the wheel then lacquer the whole thing. I wasn't beset by so many "external" disasters as you but i found firstly the wheel was originally rough cast (after sanding through 2 coats of lacquer, 2 of colour, one layer of normal primer, another layer of filler primer that was obviously flatted after application and finally a layer of etch primer) so it had a "mottled" effect on the surface. After sanding through that and using progressively finer sanding discs, i finally got to a mirror shine but then found other casting imperfection such as gouges so took the decision to paint it instead. Since then it moved a bit quicker! Gouge marks only visible after sandblasting the "square holes". 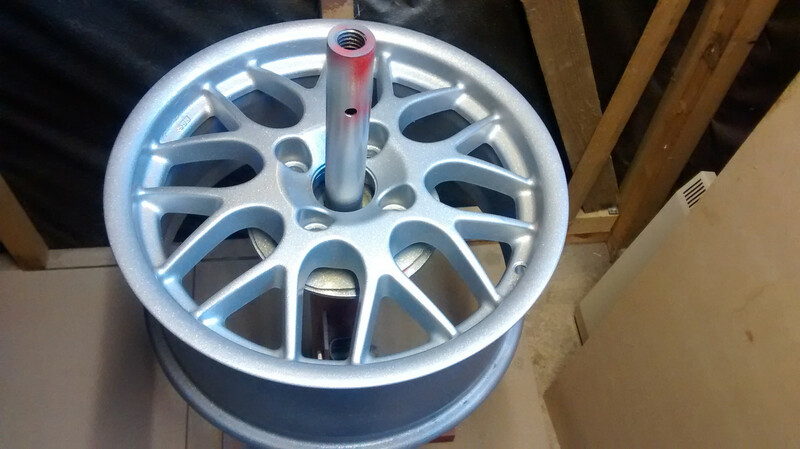 Not perfect, a couple of "time worn" battle-scars left for character but most imperfections removed or "hidden" under layers of primer, paint and lacquer, awaiting a final coat of lacquer which it's now had and arrival of a replacement tyre. 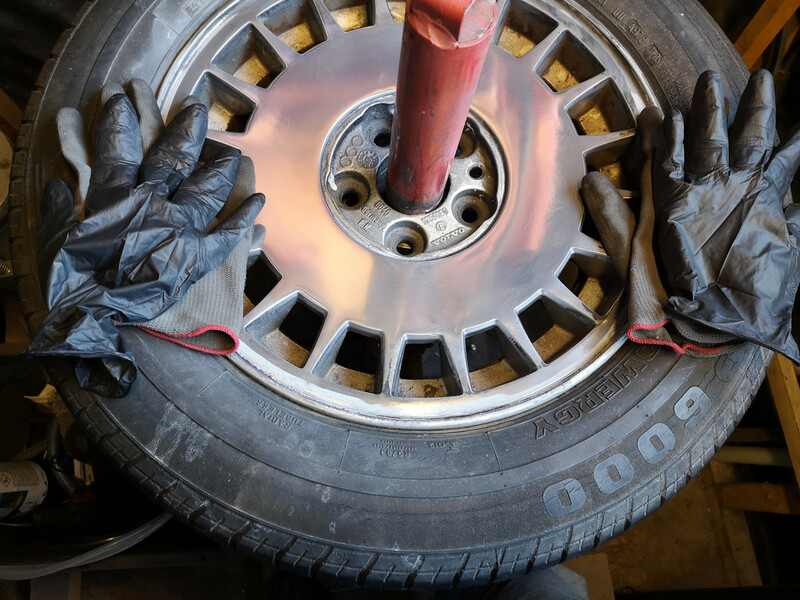 Those took considerably less than 6 weeks (about 6 days in total) for all 5 of them, including fitting the tyres and getting them on the car. Some jobs just go pear-shaped from the start, fortunately not all of them! just hope mine don't take as long, i've recently bought a set of draco's that i'm going to strip and repaint two tone in silver and graphite grey, i've made a bit of a start using dragons blood to get rid of the brake dust and iron oxide off the insides of the wheels, but i'm also in the process of installing lpg to the car, so i don't know which will be completed first, a case of watch this space ! Send them to me for spares, I use Virgos. And mice eating wheel paint? 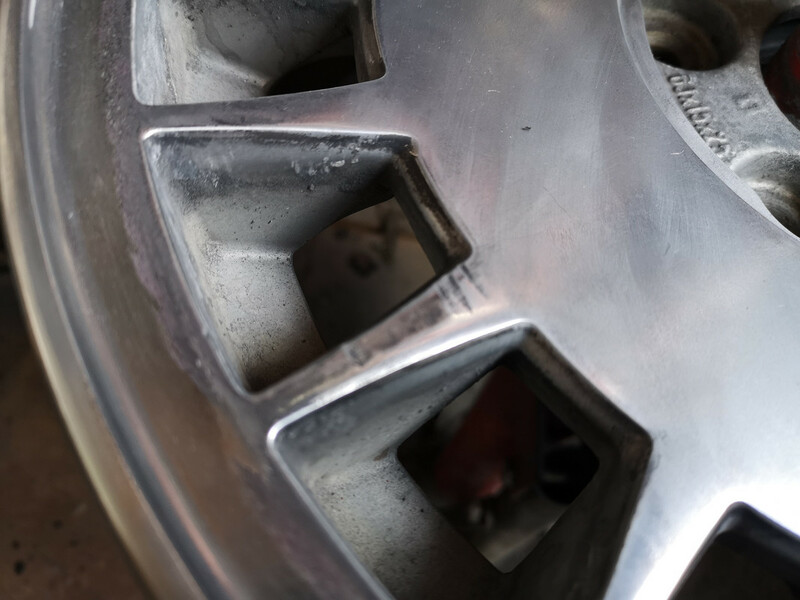 suddenly, 40 quid a wheel to have them done professionally makes a lot of sense. Just to make you feel bad, last weekend I stripped an old Cannondale road bike frame (aluminium, an R600 3.0 series for anyone in the know), sanded, etch-primed and painted the fork gloss red, same to the frame except in chalk finish charcoal, then rebuilt it with the parts of another Cannonsnail (2.8 series 650C frame) that had run its course. 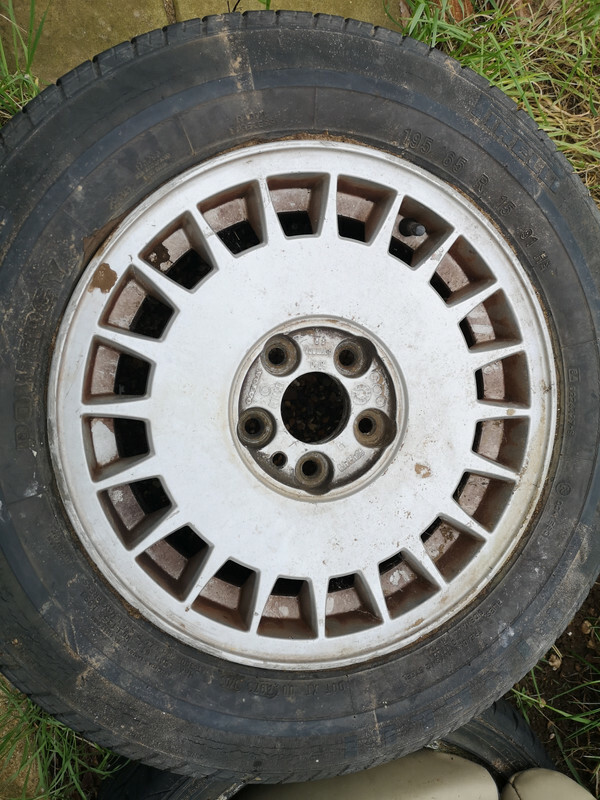 Nearest place to me charges a minimum of £70/wheel if they're done in a batch of 4/5, singly it's more like £80-90 and then the cost of getting them there and back adds another fair whack in petrol. Besides, there's something satisfying about doing it yourself.